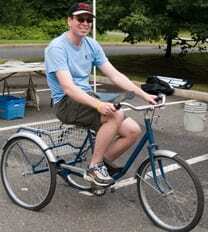 In June 2009, the West Windsor Bicycle and Pedestrian Alliance held its Fifth Annual Pedals for Progress Bike Drive. WWBPA collected used adult and children’s bicycles for Pedals for Progress, a New Jersey-based non-profit organization, which has received, processed and donated over 115,000 bicycles, 1,000 used sewing machines and $10.8 million in new spare parts to partner charities in 32 developing world countries. 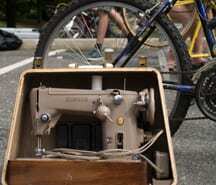 Thank you to all who volunteered and to those contributed bicycles (and one sewing machine).